Rehabilitation exercise, social and health support, including cardiac nurse consultation, for people with heart related problems. Heart disease is a killer, resulting in 73,000 deaths a year but Upbeat, a small charity in Bury St Edmunds, is helping to make a local dent in this mighty statistic. Exercise has long been advocated as the elixir, if not of life, then certainly of a healthy heart. But it’s one of those ‘lifestyle’ things that too many of us push to one side because we are too busy, caught up in work, family life or caring for others. 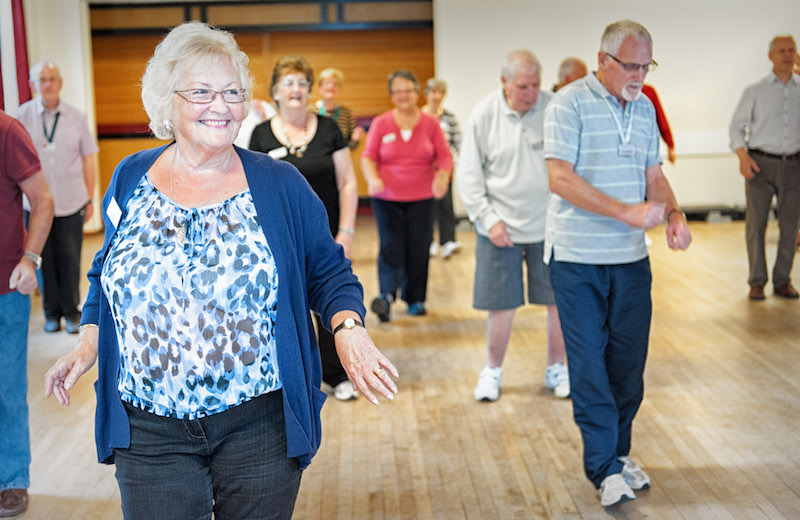 For some people though, when the inevitable happens – a heart attack, angina or even heart surgery – exercise is always part of the prescription to help restore fitness and regain years of active life. The problem is, say Sylvia Baker and Hilary Neeves of Upbeat, after the first six weeks of supervised rehabilitation at the hospital, people are pretty much left to exercise on their own. “However, after a heart scare, people aren’t always confident about doing this. 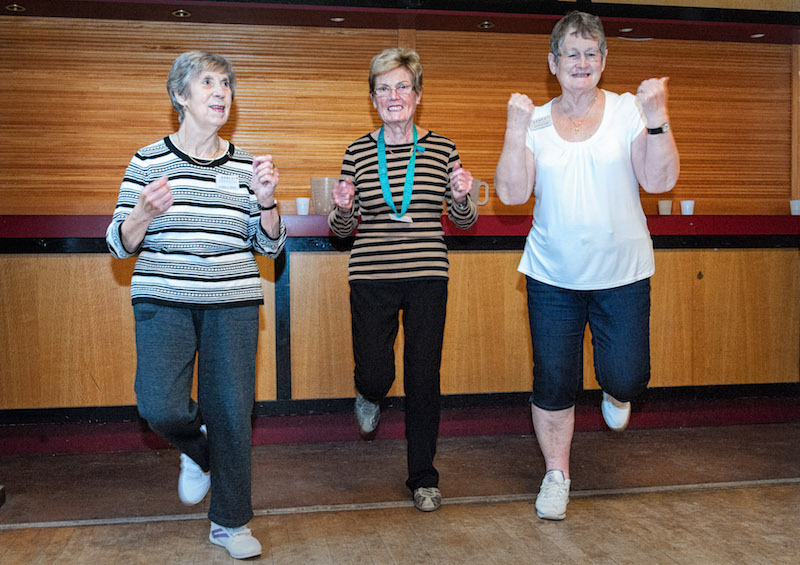 That’s where Upbeat comes in, running five exercise sessions a week in Bury St Edmunds and Sudbury, all supervised by a qualified cardiac nurse. 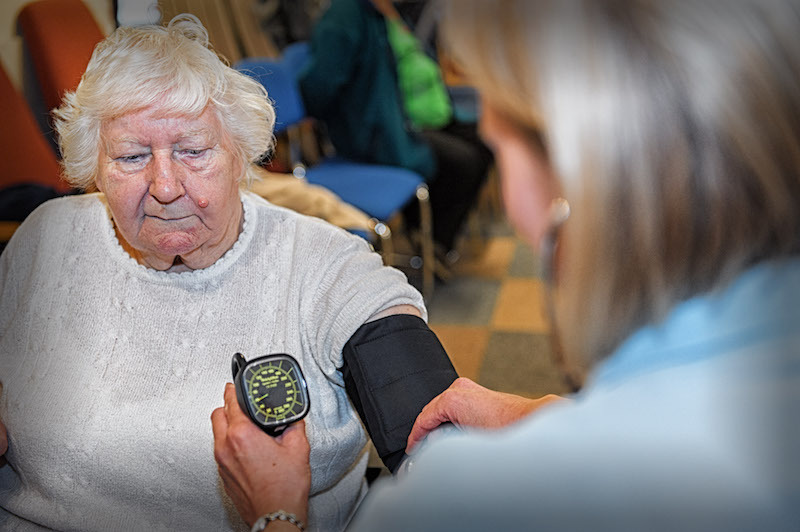 When they arrive they see the nurse, have their blood pressure taken and she assesses what level of exercise each individual is capable of,” explained Sylvia, the chairman. There are three classes, all done to music, at different levels graded according to people’s different abilities. 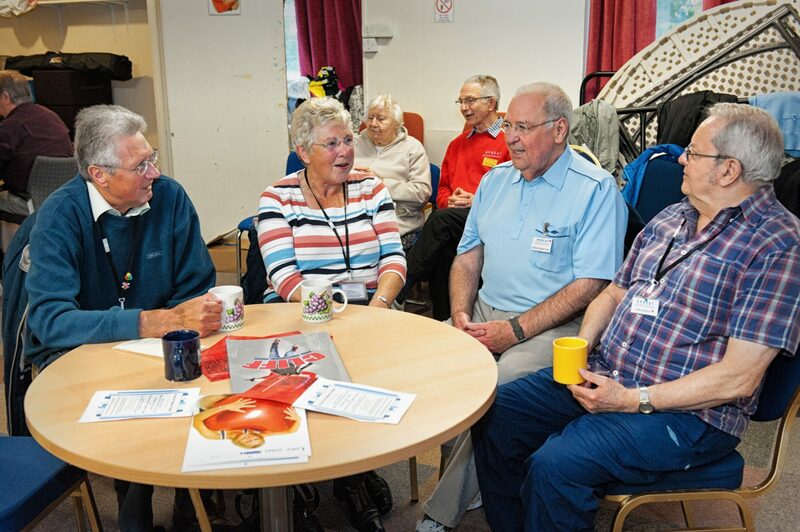 With more than 600 members and recommendations from the medical community and specialists at West Suffolk Hospital and Papworth, what Upbeat offers is unique, but as visitors have observed its service would benefit every single town and community across the country. 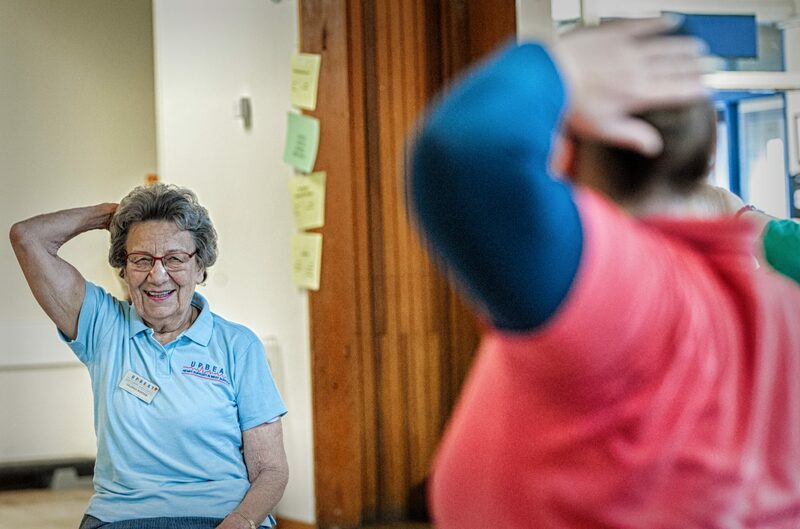 Hilary, who is Upbeat’s secretary says, “Most of our members are retired and everyone says it has also helped them change their lifestyle – improve their diet, exercise and give up smoking. 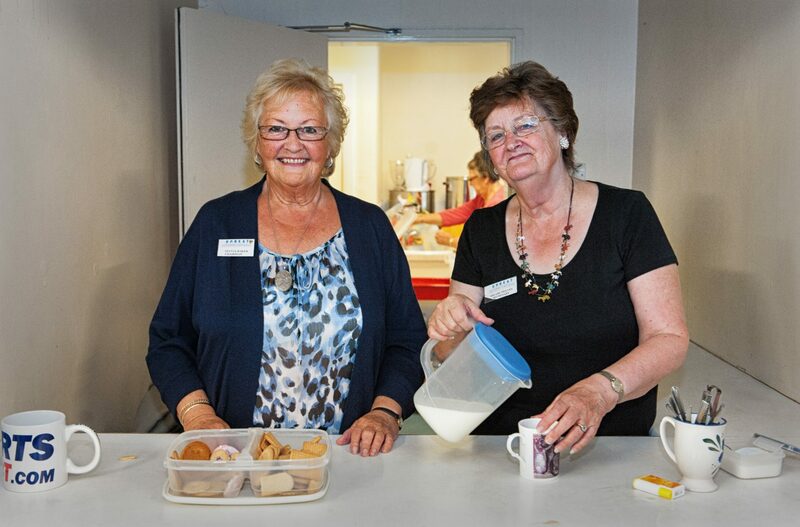 The charity costs £53,000 a year to run – but Sylvia, Hilary and all the organising team, work on a volunteer basis. Every penny counts – and is spent on specialist nurses, fitness trainers and of course premises. For instance, says Hilary, a grant of £2,000 was received from Suffolk Community Foundation’s partnership with the Pargiter Trust, which has paid for a cardiac nurse for one day per week for 20 weeks resulting in a total of 513 consultations. Janet and John Arnold, from Fornham All Saints are among Upbeat’s regulars at the Community Centre on the Howard Estate and say it’s made a huge difference to their lives. She explained that for 30 years she has been a full time carer, looking after John who has a muscle wasting condition. Richard Frame has also been attending Upbeat regularly having had two “episodes” of heart problems and as a result has had two stents at Papworth. Richard said that after ten weeks he felt so much better that he even started some gentle jogging. What Upbeat does is a critical part of the recovery and continuing well being of people who have heart problems and their carers. Upbeat does that in a very engaging, interesting and welcoming way. What they are doing is textbook stuff and it’s mightily impressive.